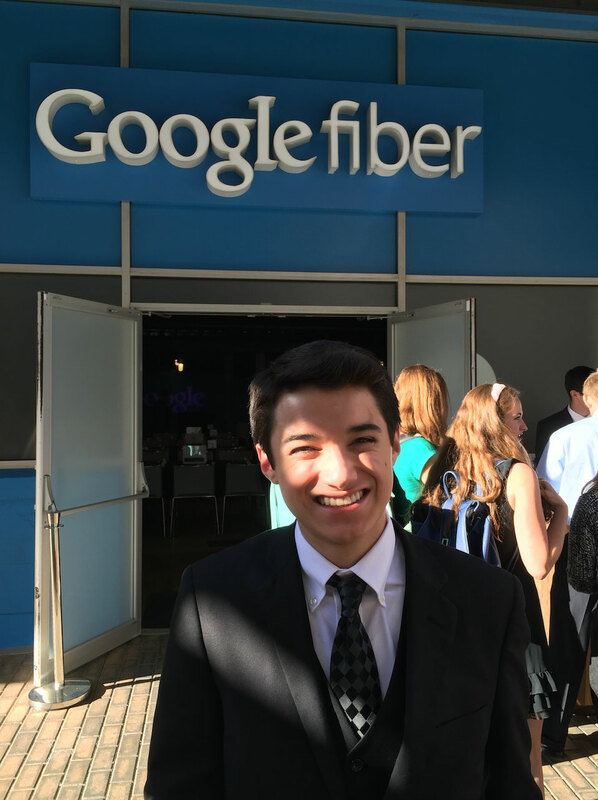 Commander Ben getting ready to attend the UT Austin ESI outreach dinner at the Google Fiber space. I’ve had a busy past few weeks at school, and I have not been able to blog as much as I would have liked. The most interesting thing going on right now is my high school finals. When you have dyslexia, dysgraphic, and dyscalculia, this isn’t always the funnest time, especially with math. I enjoy science, including learning about concepts in Chemistry this year, but I’ve really enjoyed my world history class. Whether you’re learning about Zoroastrianism or the Age of Enlightenment, it’s always been an fascinating class, and I’ve learned so much this sophomore year. I feel a lot like I did when my freshman biology class was wrapping up. Biology was a class that I not only learned a lot in, but also enjoyed. Like biology, my world history class is coming to an end and I feel sad about it. I look forward to studying American history next year, but I will also miss my adventures in my G Block World History class. One of the fun times I had this semester was attending the UT Environmental Science Institute (ESI) Annual Education & Outreach Dinner on April 29, 2015. Last year, the dinner was on the UT Austin campus, and this year our dinner was in downtown Austin. 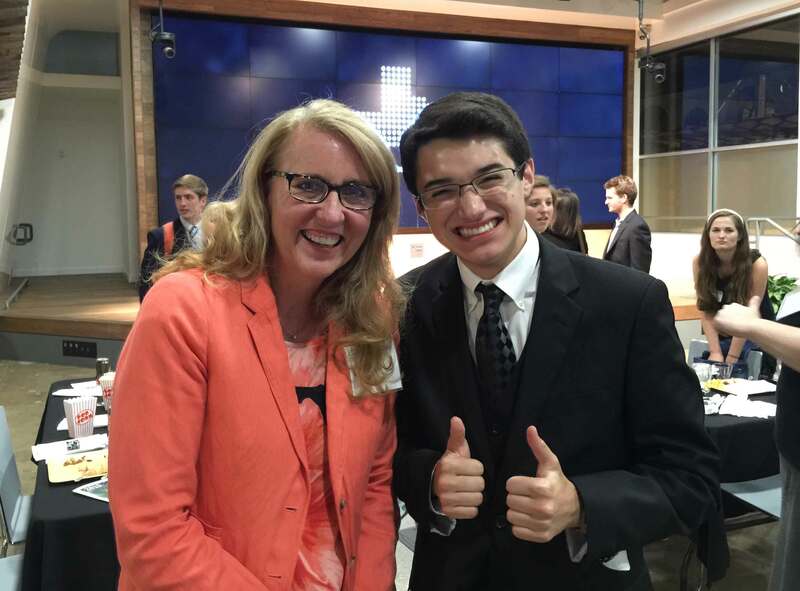 Ms. Nina Schenck and Ben Shrader at the UT ESI dinner. Ms. Nina Schenck is now retiring, but she has been such a wonderful member of UT ESI and has welcomed me to Hot Science – Cool Talks for many years. Dr. Jay Banner and Ben Shrader at the UT ESI dinner. Dr. Jay Banner is such a kind and knowledgable professor. He is helping to lead so many young people to have a love of and be good stewards of our environment. Attendees networking at the UT ESI dinner. The dinner was well attended with many donor, sponsors, and students. All-American Buffet at the UT ESI dinner. 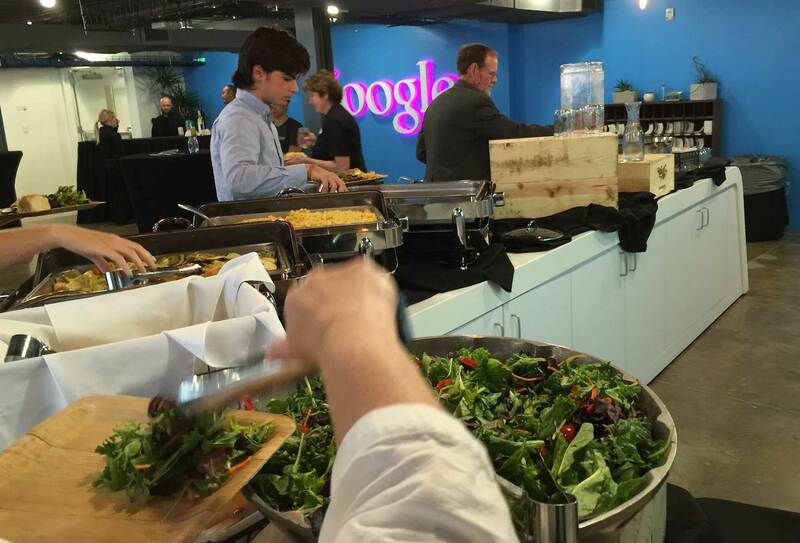 The dinner buffet was a delicious All-American spread of salad, vegetables, macaroni and cheese, and brisket. Dr. Jay Banner thanked the UT ESI dinner sponsors. Dr. 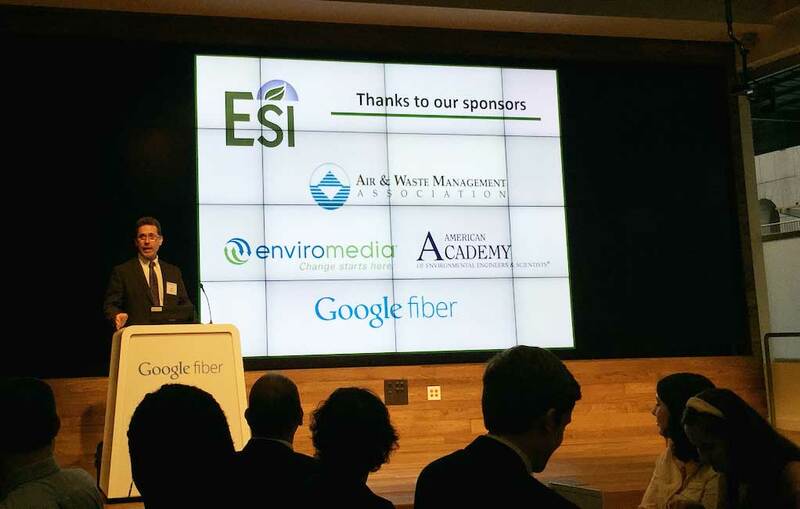 Banner thanked the dinner sponsors, including Air and Waste Management Association, enviromedia, American Academy of Environmental Engineers and Scientists, and Google Fiber. Some great folks from environmedia sat at our dinner table. 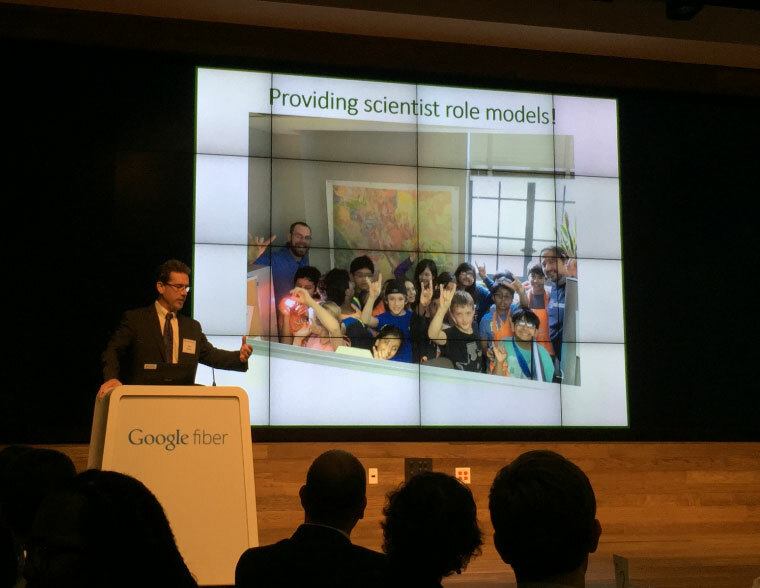 Dr. Jay Banner talks about scientists who are great role models, like Mr. Trevor Hance. In his presentation, Dr. Banner talked about the great ways Austin teachers were helping students learn about science, including Mr. Trevor Hance and his students, like Sahil Shah. 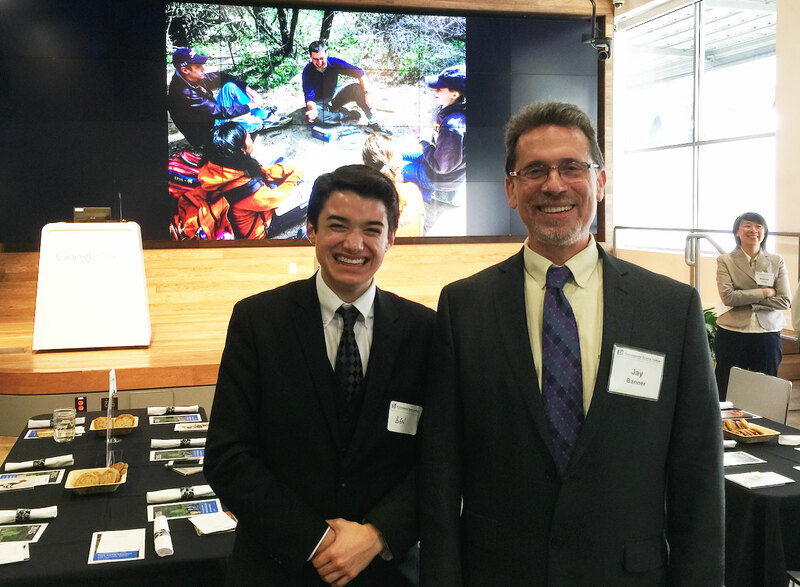 I was fortunate to be invited to the Children and Nature Network Conference by Mr. Hance and be on the Kids’ panel with Sahil. 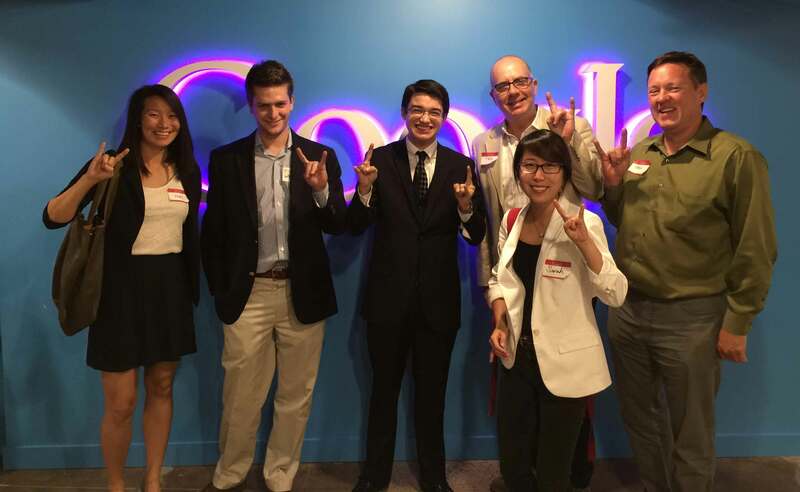 Members of my dinner table show off the Hook ’em horns sign in support of UT Austin. James Weaver and Ben Shrader at the UT ESI dinner. 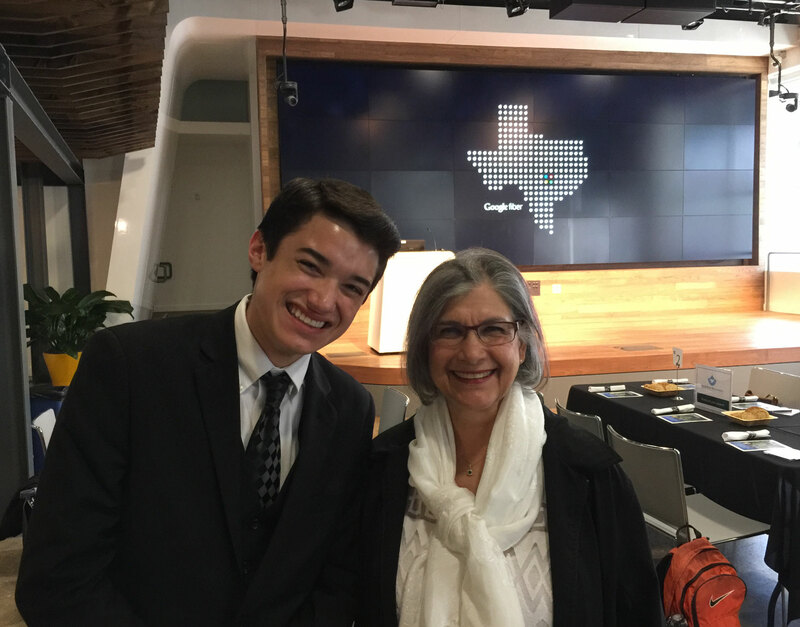 One of the UT Austin students featured at the dinner was James Weaver who was studying the endangered species of Fishhook Cactus in West Texas. We had a lot of common interests in protecting our native species against threats to their environment and against invasive species. 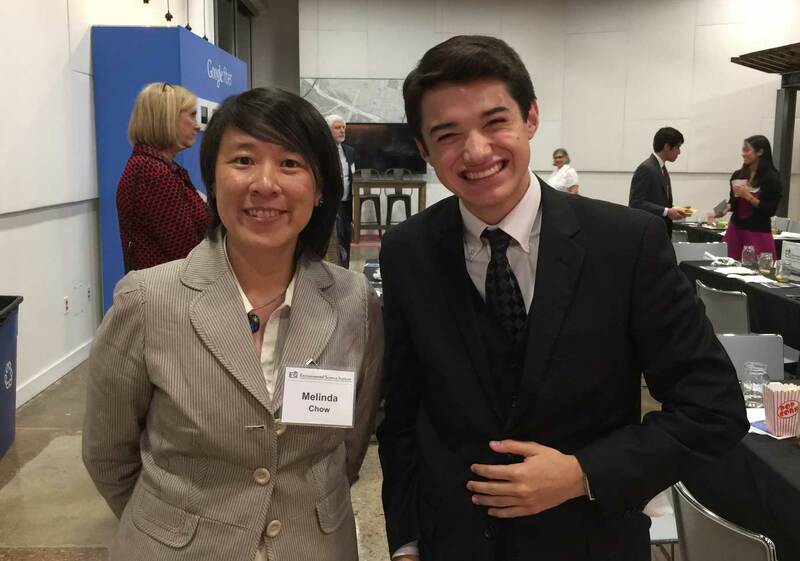 Ms. Melinda Chow and Ben Shrader at the UT ESI dinner. 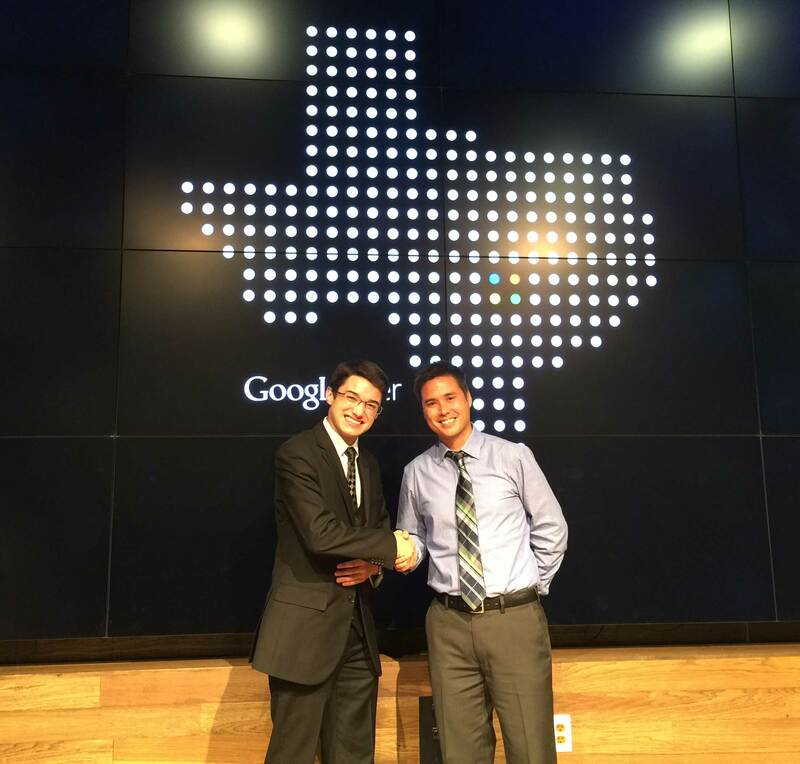 I had a great time at the event with Ms. Melinda Chow, UT ESI Outreach Coordinator. Ms. Milli Christner and Ben Shrader at the UT ESI dinner. At the end of dinner, I gave a thumbs up with Ms. Milli Christner, UT ESI Assistant Director for Development. I really enjoyed this event. 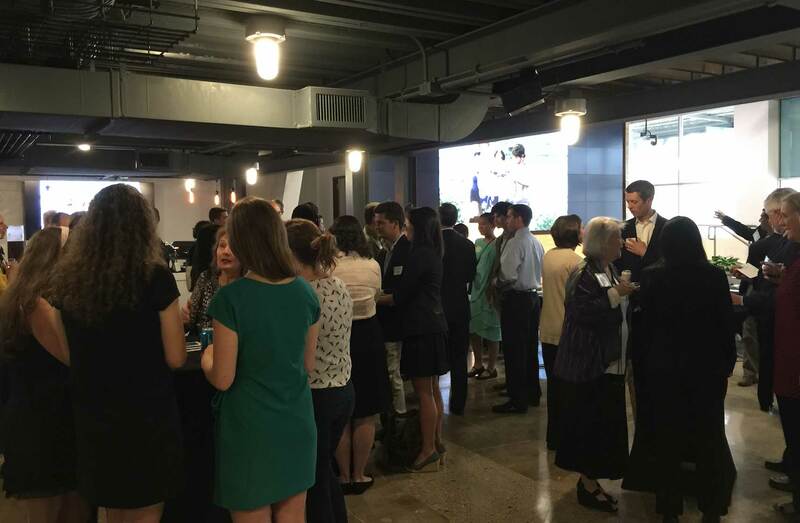 Many people who have supported UT ESI had a chance to get together, network, learn about the latest accomplishments, and have a great time.